Sabina Spielrein stands as both an important and tragic figure—misunderstood or underestimated by her fellow analysts (including Jung and Freud) and often erased in the annals of psychoanalytic history. Her story has not only been largely forgotten, but actively (though unconsciously) repressed as the figure who represented a trauma buried in the early history of psychoanalysis. • Four chapters by Felicity Brock Kelcourse, Pamela Cooper-White, Klara Naszkowska, and Adrienne Harris spanning Spielrein’s life and exploring her works in depth, with new insights about her influence not only on Jung and Freud, but also Piaget in Geneva and Vygotsky and Luria in Moscow. • A timeline providing readers with important historical context including Spielrein, Freud, Jung, other theorists, and historical events in Europe (1850-1950). • Twelve new translations of works by Spielrein, ten of which are the first ever translations into English from the original French, German, or Russian. Spielrein’s life and works are currently undergoing a serious and necessary critical reclamation, as the fascinating chapters in this book attest. 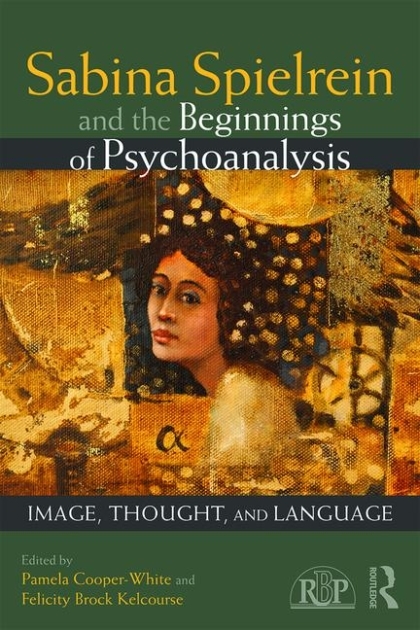 Sabina Spielrein and the Beginnings of Psychoanalysis will be of great significance to all psychoanalysts, psychoanalytic psychotherapists, analytical psychologists, and scholars of psychoanalysis interested in Spielrein and the early development of the field. Pamela Cooper-White is the Christiane Brooks Johnson Professor of Psychology and Religion, Union Theological Seminary, New York, and 2013-2014 Fulbright-Freud Scholar of Psychoanalysis, Vienna, Austria. She is the author of Old and Dirty Gods: Religion, Antisemitism, and the Origins of Psychoanalysis (Routledge, 2017). Felicity Brock Kelcourse is Associate Professor of Psychology of Religion and Pastoral Psychotherapy at Christian Theological Seminary in Indianapolis. Her most recent books include (as editor and contributor) Human Development and Faith, 2nd edition (Chalice, 2015) and Transforming Wisdom: Pastoral Psychotherapy in Theological Perspective, co-edited with K. Brynolf Lyon (Cascade, 2015).